My knowledge of Victoria extends to the station, the walk towards Sloane Square and little else. It's not a part of town I usually frequent but when Italian restaurant, Tozi, invited me down I knew it was time for the journey. 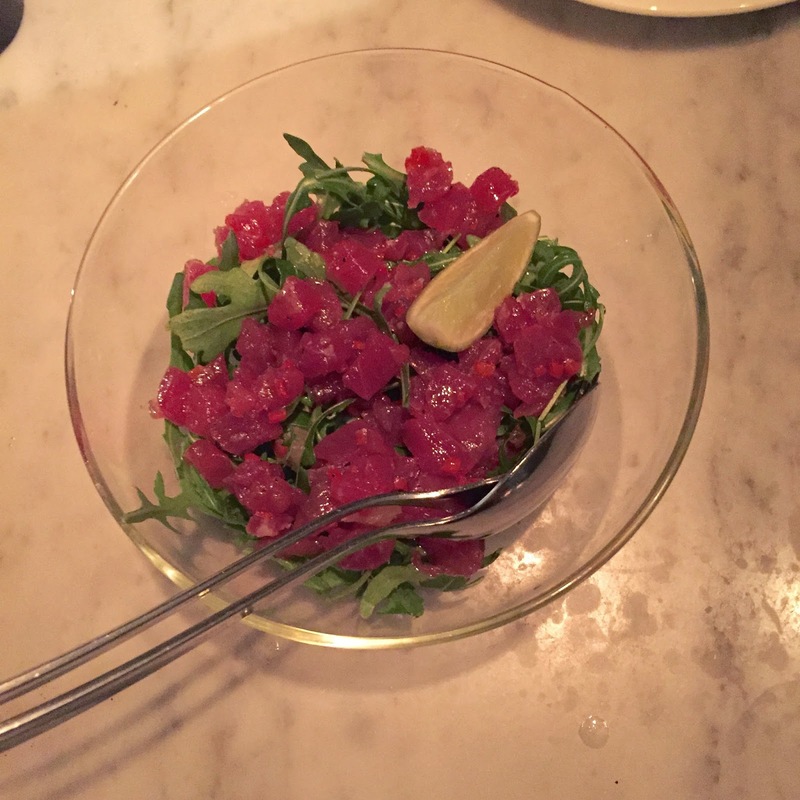 Tucked down a side street, Tozi is a sprawling yet bustling restaurant and bar serving up cicchetti - Venetian small plates that you could compare to tapas. Food service is split between two open kitchens; one focuses on the grilled, baked and wood oven offerings on the menu whilst the other rustles up the counter and salad plates. We went on a Thursday night and the atmosphere was buzzing with couples on dates, groups of girls catching up and post-work diners yet service was impeccable, with friendly waiters and waitresses unobtrusively bringing each dish to the table as soon as it was ready. We were tempted by the cocktails - a combination of classics and house favourites - but reached straight for the Italian-only wine list. Ever since a trip to the region last year, I eagerly seek out Puglian wines on menus and Tozi didn't disappoint with a lovely bottle of Nero di Troia. We then moved onto the food, and after a few recommendations from our host, chose eight plates to share. There are larger dishes on the menu (lobster linguine, braised osso bucco, ribs of beef) but after filling up on the focaccia (slightly dry) and moreish olive oil and balsamic syrup, we stuck to our guns and stayed sensible. 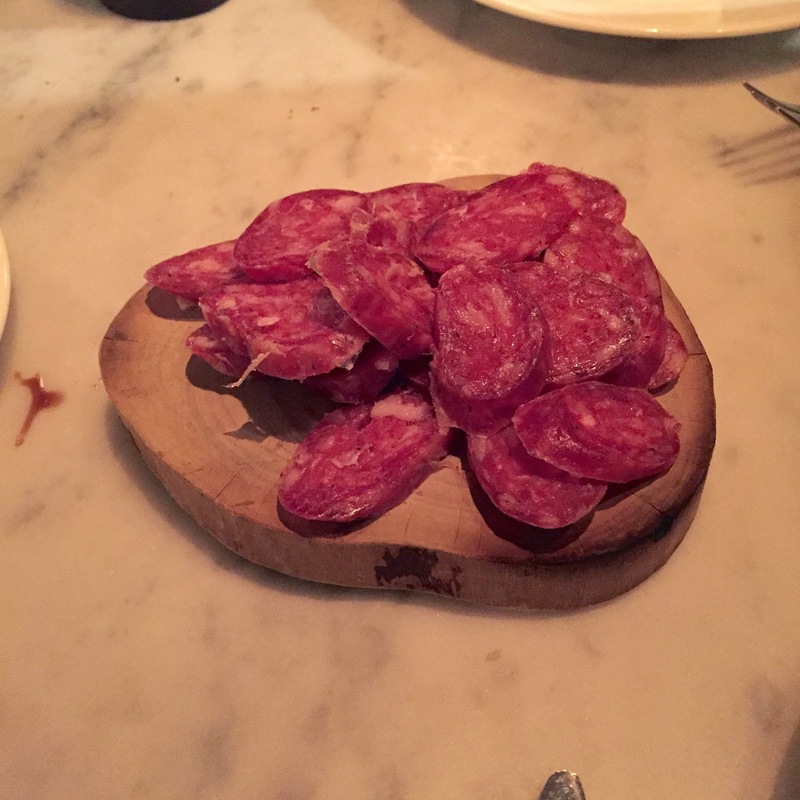 First up, the wild boar salsiccia. Melt in the mouth smooth with fennel and star anise running through, I could happily eat this by the fistful. Thankfully for my dining companion, I was more restrained but he did give me the last slice. 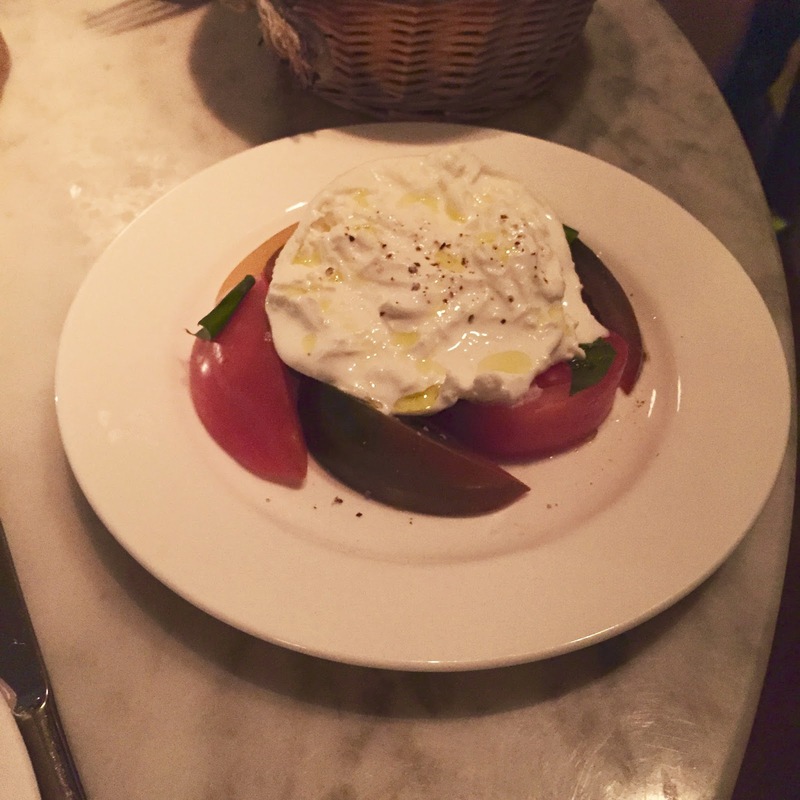 Accompanying this was the burrata (another thing I always order if it's on the menu) which came deliciously creamy and with just enough give. Served with heritage tomatoes, a grind of salt and pepper brought the flavours to life. 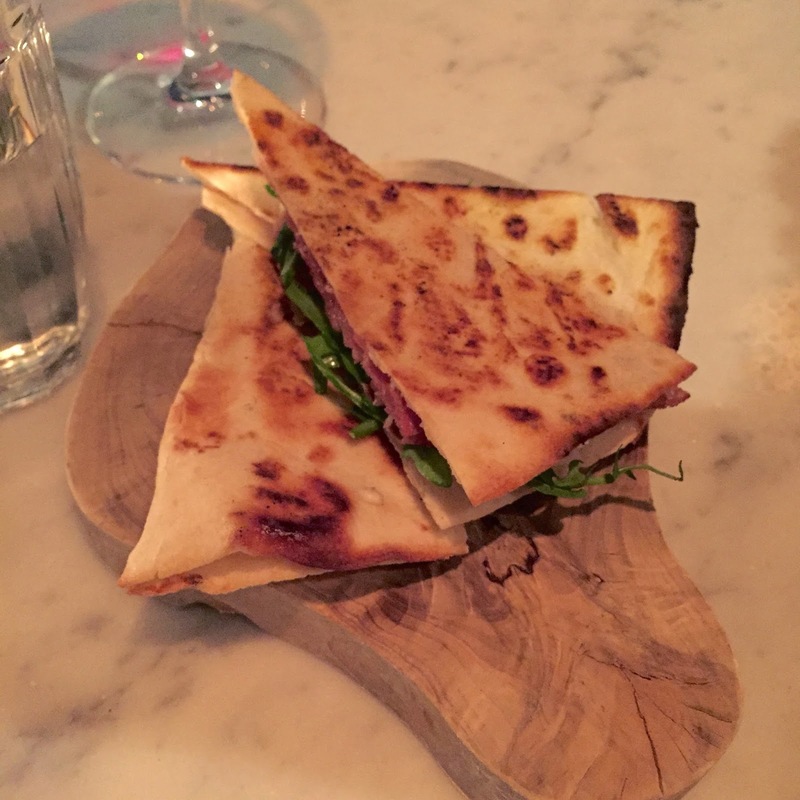 Next up, piadina with parma ham, stracchino and rocket and tuna tartare with lots of fresh lime. Arriving at the same time, these dishes couldn't have been more different from each other but they worked so well - the classic Italian flavours of meat and cheese were complemented by the zingy freshness of the fish. S, who's never been tempted by tuna tartare before, is now a total convert and I scraped the bowl for the last morsels. 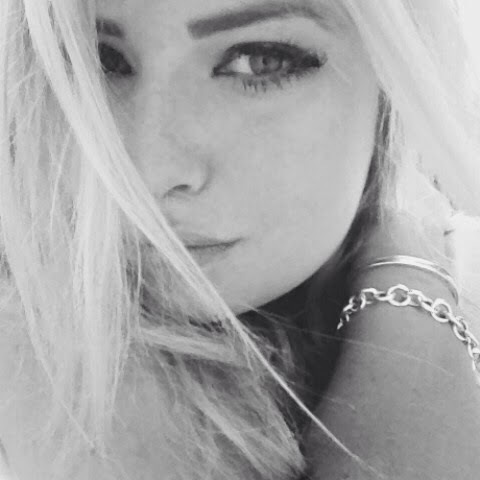 Then came the pasta. Difficult to photograph but hugely easy to eat and almost demand more of. 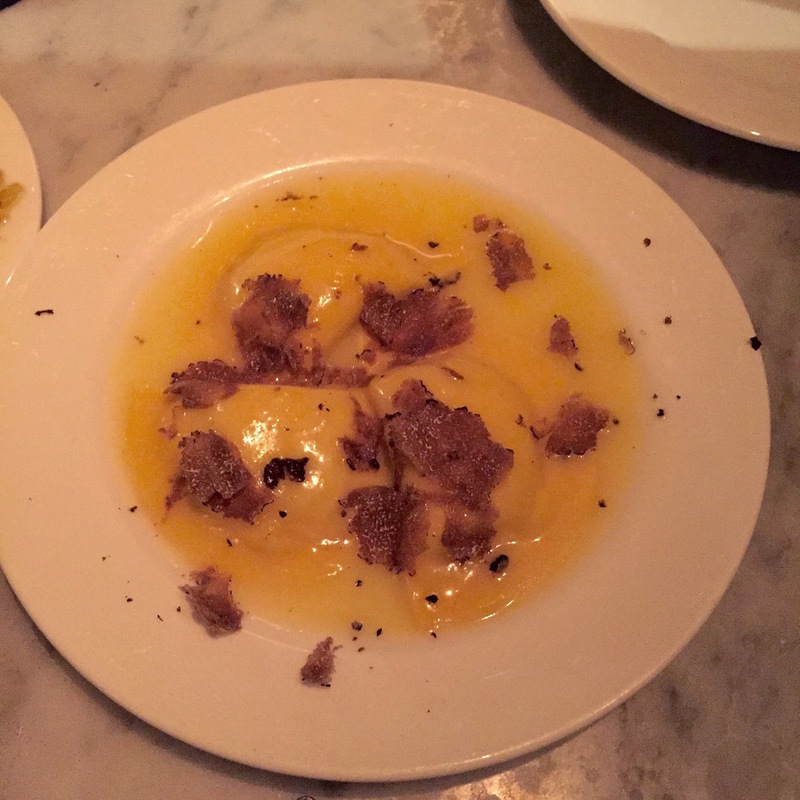 The buffalo ricotta ravioli with black truffle was criminally smooth, rich and buttery - simple enough ingredients but cooked so well we were lost in mutual appreciation for quite some time. 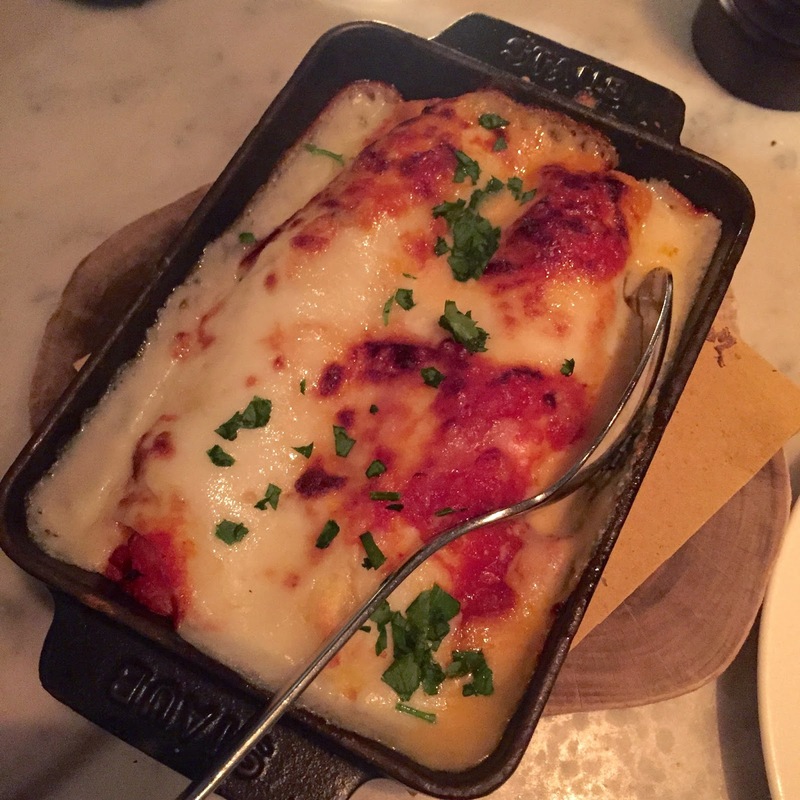 The wild mushroom cannelloni was pleasingly earthy with the flavours of the fungi coming through the creamy, cheesy sauce. The pasta, homemade of course, was cooked brilliantly and finished off al forno naturally. Our last two dishes were the gratinated scallop, Venetian style, and the ox cheeks. 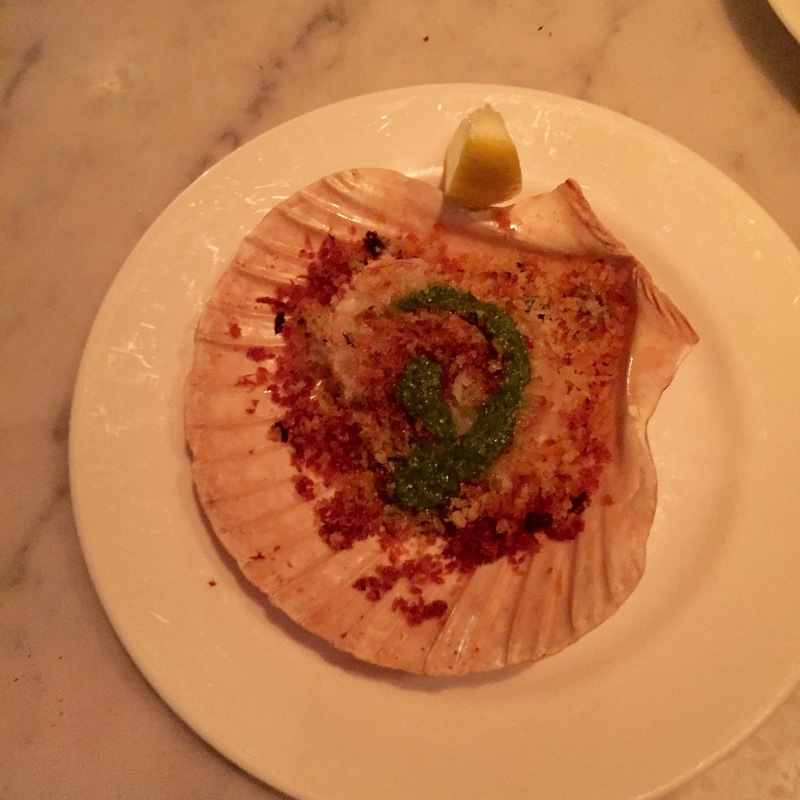 The scallop was cooked just right and topped with a crisp crust and a swirl of salsa verde. S wasn't so keen on the green but I liked the added flavour that offset the meat of the fish and the toasted crumb. The braised ox cheeks with girolles and red wine sauce was his clear winner - the meat was deliciously soft and melted right off the tongue. 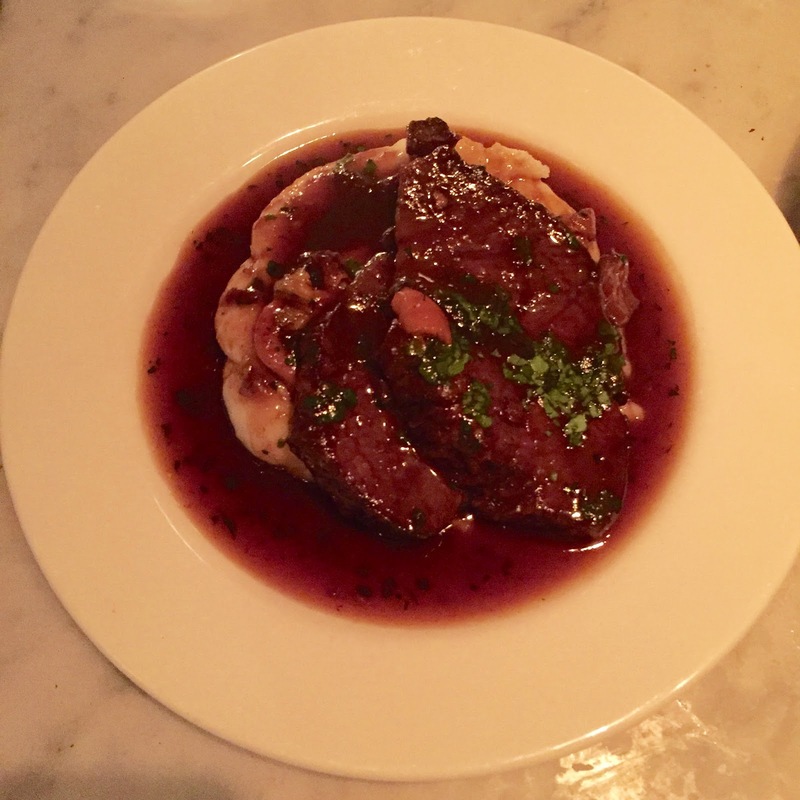 The red wine sauce was more of a jus, balancing the creaminess of the mash potatoes with just enough richness to bring the whole dish together in what was probably S's plate of the night. At this point we realised we'd definitely made the right decision to not order a further mountain of food. There was just enough room for dessert though. 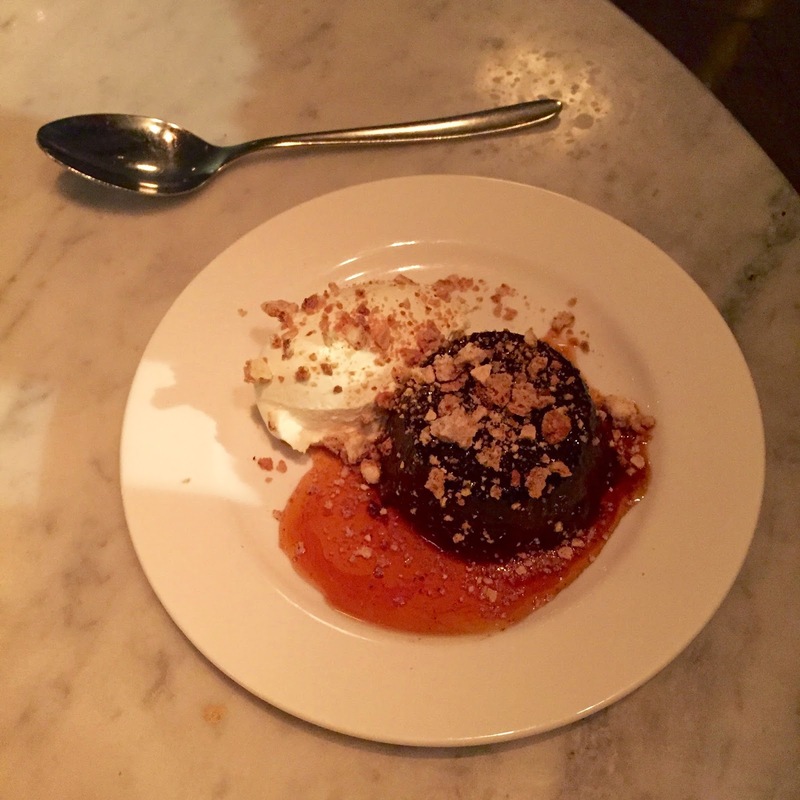 S had the chocolate and amaretto bonet - a typical dessert from Piedmont that's made in a similar way to a creme caramel. Accompanied by a boozy sauce, cream and crumbled amaretti, this was almost the last hoorah. 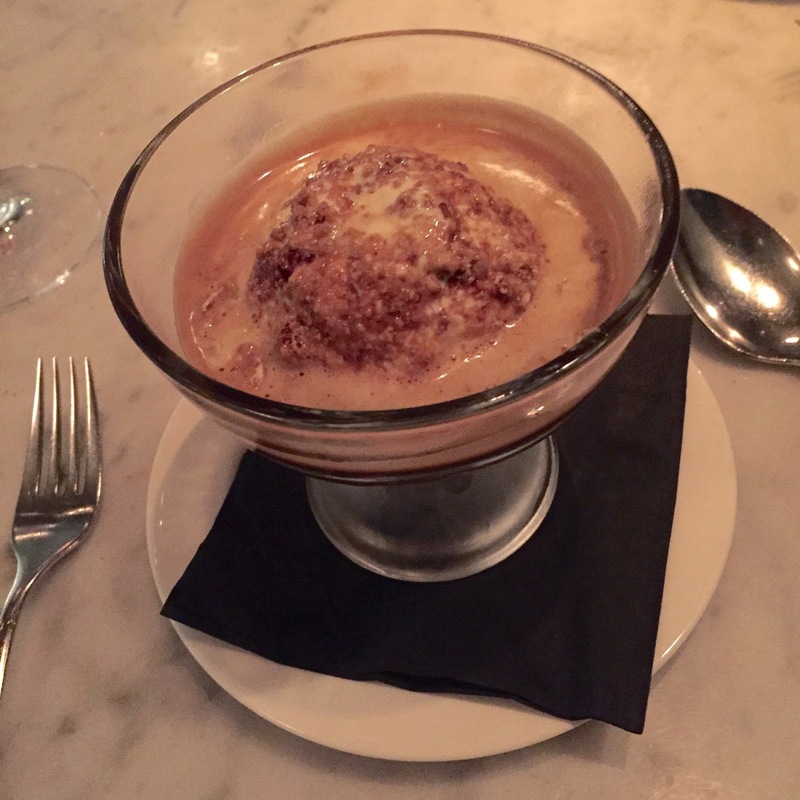 I could just about manage the affogato - simple but effective and just enough to keep me awake for the taxi schlep home east. I'll admit that my expectations of Tozi were mixed before I visited as the website seriously underplays how good this place is. From the modern interior, friendly staff and excellent food, Tozi is a real find and I'll definitely be making the journey all the way over to Victoria just for this place again and again and again. Five out of five.